The lineup for Phase Three of the Marvel Cinematic Universe will lead to The Avengers: Infinity War, set for release on May 4, 2018. Captain Marvel, starring Academy Award winner Brie Larson figures to be a part of this lineup somehow but Marvel Studios has significant plans for the superheroine. It was announced that Larson landed the role late last year and Marvel Studios would search for a director to helm the film starring Larson and written by Meg LeFauve and Nicole Perlman. It was a widely held belief that Captain Marvel would have a female director since she would be the first Marvel heroine to lead her own movie but now the search has concluded and the film does indeed have a female director but with a twist. Anna Boden and Ryan Fleck got the job! I confess, this has certainly caught me by surprise since I have no idea where these two came from but judging by Marvel’s hiring process, it makes sense. Execs met with the duo many times before the studio decided to go with them and the pair impressed the studio time and time again with their vision for the heroine. The two have experience in both the TV and film world, which Marvel sees as a strength. Considering how Kevin Feige and Marvel have gambled and won on talents such as the Russo Brothers, Peyton Reed and James Gunn and trusted filmmakers like Jon Watts, Taika Waititi, Ryan Coogler and Scott Derrickson with leading productions on their pivotal heroes in the Marvel Cinematic Universe, Boden and Fleck follow a pattern that has served Marvel well in the past. I’m not familiar with their work together to this point but I’ll certainly have my eye on where Captain Marvel will go from this point forward. Captain Marvel set for release on March 8, 2019. Phase Three of Marvel’s Avengers Initiative is currently in development as multiple films are crossing their Ts and dotting their Is to get production underway. One of the installments is Doctor Strange. Scott Derrickson will direct the film about Marvel’s Sorcerer Supreme courtesy of Jon Spaihts’ screenplay. Benedict Cumberbatch will play the title character, an egotistical neurosurgeon who tragically loses the use of his hands, but discovers he has a proclivity for the mystic arts when he travels to a monastery in Tibet. Cumberbatch is joined by Academy Award winner Tilda Swinton, Academy Award nominee Chiwetel Ejiofor and potentially Mads Mikkelsen, but big news regarding Doctor Strange: Rachel McAdams has confirmed that she will be starring in the superhero feature as well. McAdams’ involvement has been rumored for weeks, and the actress has not been shy about confirming she had discussions with Marvel as early as July. McAdams is coming off of Season 2 of HBO’s True Detective, boxing drama Southpaw opposite Jake Gyllenhaal and Cameron Crowe‘s Aloha. She’ll next be seen in Spotlight, which had its world premiere at the Venice Film Festival. Undoubtedly McAdams is an accomplished actress who adds her name to an already star-studded cast. Doctor Strange is slated for a November 4, 2016 release date. Phase Three of Marvel’s Avengers Initiative is about to get underway. One of the films in the lineup is Doctor Strange, directed by Scott Derrickson, written by Jon Spaiths and starring Academy Award nominee Benedict Cumberbatch in the title role. Doctor Strange is the Sorcerer Supreme of the Marvel Universe, a former surgeon who loses the use of his hands only to have them restored when he embarks on a quest to find The Ancient One and learn the mystic arts. 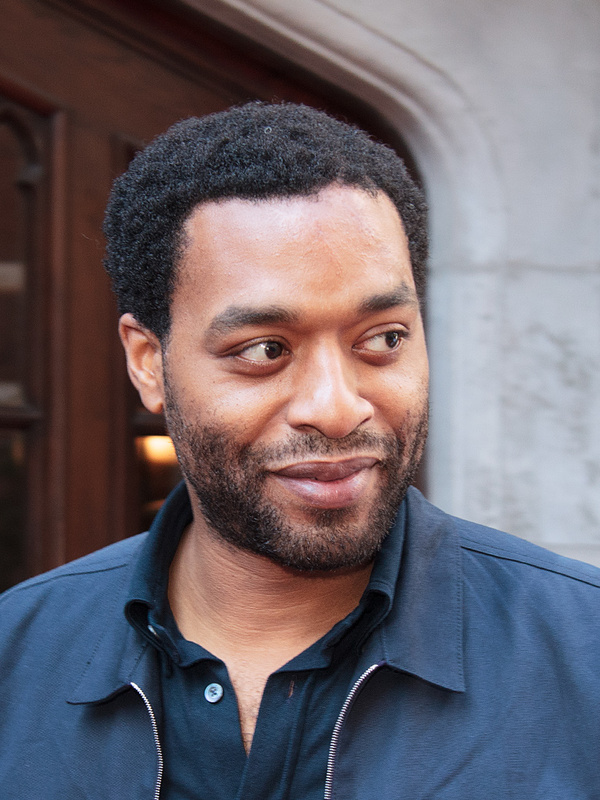 Joining the cast of Doctor Strange is Academy Award nominee Chiwetel Ejiofor. The star of the Oscar-winning feature 12 Years a Slave, is reported to sign on to play Strange’s rival/enemy Baron Mordo. It seems that Derrickson and Spaiths are going in a different direction with Baron Mordo. The film isn’t going with a cut-and-dry bad guy for Mordo. Fascinating. Furthermore, great addition to Doctor Strange’s acting roster. I first saw Ejiofor in the underrated sci-fi adventure Serenity, thought he was simply outstanding in 12 Years a Slave and I can’t wait to see him opposite Benedict Cumberbatch. There is also rumors that Academy Award winner Tilda Swinton may join Doctor Strange as The Ancient One and if these rumors prove fruitful, Doctor Strange will be more of a must-see than it is right now. Doctor Strange is slated to arrive in theaters on November 4, 2016.